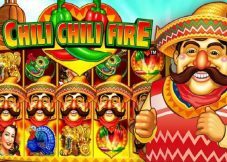 A big selection of different casino games. A wide range of promotions that clients can use to get free cash to place wagers. Availability of plenty of jackpot games that gives gamers an opportunity to walk away with huge winnings. Withdrawing can take some time (a minimum of 48 hours) and can last for days in some cases. 2.2 Who Wants to Be a Millionaire? Betfred was once a street bookmaker that later turned into a casino. It was founded by brothers, Peter and Fred Done in 1967. 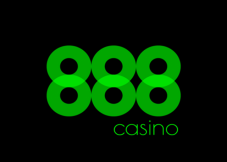 The duo first started operations as a single betting shop located in Salford. The business grew, and today there are more than 1,300 Betfred shops in different parts of the UK. 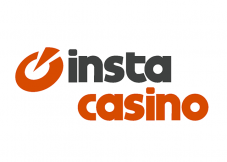 The online casino started operations in 2005. It sits alongside other betting services that include live betting, a sports book, lotto services, and poker. The casino allows members and visitors as well to access games on their desktops and mobile devices. 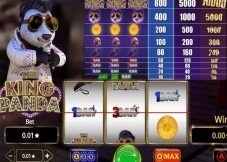 There is usually no need to download any application or even apply for another account when you are playing on the mobile version of the casino. You can play on an Android or iOS powered device without any difficulties. The casino only accepts members who have already celebrated their 18th birthday. This works in three stages, and only new customers with a real money account can take advantage of this. 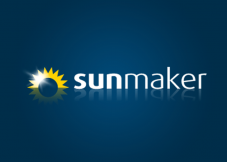 Deposit anything from £5 to £ 100 and get a 100% match bonus on the first deposit. Second deposit: Receive a 50% match bonus when you credit your account with any amount from £5 to £50. The third deposit attracts a 50% match bonus when you deposit £5-£50. This bonus comes with a few rules like you must deposit a minimum of £5 before you can qualify for this offer. There is also a 40x wagering requirement for all the stages before you get permission to withdraw any winnings. Bonus amounts are also removed after 14 days. This implies that if you do not meet the requirements, you will have to forfeit the winnings and the bonus as well. Worth noting is that there are some games that have lower percentage contributions in regards to the total wagering requirements. A majority of the scratchcards and slots have a 100% stake contribution. Table games and video poker account for 25% while other games may contribute less. These are complimentary points that players earn each time they bet using the money on the games the casino offers. These are available on all platforms so that no member is left out. You will get a single point after staking £10. The number of points you accumulate determines the level of rewards you will end up getting. At the base level, members convert a thousand points for £10 in real cash. The rates are better when you reach higher loyalty levels. At the highest level that is known as the diamond level, 700 points will get you £10. You can always view the balance on your account anytime. This is not it because the casino also introduces bonus packages. Just check out the promotions pages to get information about the latest promotions offerings. 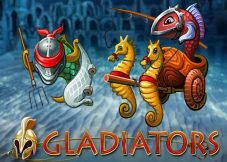 Here you can get different types of rewards that can include free spins, stake matches, and cash giveaways. Be sure to read through all the terms of this offers so that you do not end up with any disappointments. Playtech is known for working with some of the best superheroes themes to have existed. One of the slots that have received a lot of attention on Betfred Casino is Iron Man. This is an action-packed title that has 20 paylines and 5 reels. It comes with numerous high paying symbols like the wild icon and others. There is also a bonus feature that allows gamers to spend more time in the game without having to invest too much. Note that this is not a progressive title, but it presents a decent jackpot that will have you screaming once you manage to hit the ultimate prize. Landing five iron man symbols can earn you 5,000 coins. When two of these symbols land on each other, they automatically become expanding wilds to help you form more winning combinations. These, however, do not land on the first and fifth reel. Other than the wild, you can also take advantage of the scatter that most of the time triggers a bonus feature. 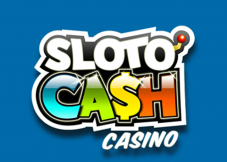 It is an authentic slot that avails quick gameplay, progressive jackpots, and multiple bonuses. It is an easy game to play where all you need to do is to spin the reels and wait for a winning combination to form. The game presents adjustable bet lines and betting range runs from as low as 0.01 to 300 for the high-rollers. This implies that all types of gamers can play this slot regardless of their budget. It awards prizes in a similar manner to the TV show. The game comes with a turbo feature that allows you to spin the reels faster to get quicker results. You must also note that it has 50 paylines and 5 reels of action. This is an example of another Betfred casino slot that players cannot seem to get enough of. It features 30 paylines and 5 reels. It is based on a comedy show. Keep in mind that you do not have to be a fan of the show to enjoy the game. There are plenty of features you encounter when playing this game. The most common include the characters of the show, i.e. Andy, Lou, Emily, Vicky, Majorie, and Dafydd. The standard Q, J, K, and 10 also make an appearance. The wild symbols have a simple “wild” on them. The title comes with an auto spin for players who want a break from manual spinning. The coin value is set at 0.01 to 25; thus, you do not have to be scared about spending too much. You can still play even when you are on a budget. The highest paying symbols are Lou and Andy. Landing on 5 of these automatically gives you a thousand coins. If you feel like the above options do not sit well with you, there is an option of walking into a Betfred store and making your deposit or withdrawal. Betfred holds two gambling licenses. i.e. Gibraltar Gaming Commission – This is one of the most popular gaming regulators. United Kingdom Gambling Commission – Holding this license allows the casino to operate in the UK. Players can access the gaming den from different parts of the globe including but not limited to India, Canada, the UK, and Ireland. Similar to any other product on the market, there is usually a good and bad side. 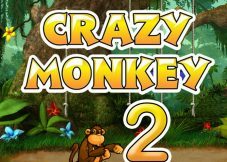 With hundreds of Betfred casino games from Playtech and other top software providers, players can choose the titles they love best. 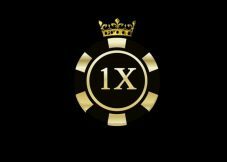 The gaming platform also presents a secure environment where users can go about their gambling activities without having to look over their shoulders at all times. The casino has been around for many years which goes to show that it is doing something right. Fly casino it is sister website Omni casino, and this two casinos are probably best Playtech places currently, at least I did not know any better places to enjoy Playtech games. Fly casino have only Playtech games, both instant play and download, and like usually i can just recommend to download software and did not had any headache with slow spins or game freezes. 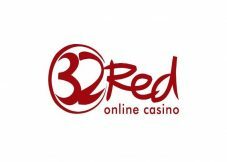 What I can say about customer support at fly casino? Well, it is probably best customer support i have seen at all Playtech casino Bonuses are good and rewards but thats it! Withdrawal times can vary dramatically at Betfred - they advertise their e-wallet withdrawals as taking anything from 24-48 hours, though I have received such withdrawals in under 4 hours on many occasions. Other times it has taken a little longer than the 48 hour maximum time stated - sometimes they seem to process at weekends, others they dont. It is entirely unpredictable. Also, I feel it only fair to mention that I have heard numerous stories over the years whilst I have been playing on-line of players having winnings and/or prizes disallowed due to various, often questionable explanations - for example, a customer who won a £30,000 car in a Betfred competition in 2012 was disallowed the prize after they claimed this player had used a bot to assist in their play. The logs proving this bot play were never made public, despite some unrelated players offering to pay an impartial third party to examine the data... the whole thing was extremely dodgy and whilst my experiences with Betfred have been nothing more than exemplary, I have always felt something was amiss with that particular case.